Ribbed and banded collar, cuffs and hem. For in-store inquiries, use sku #2433705. 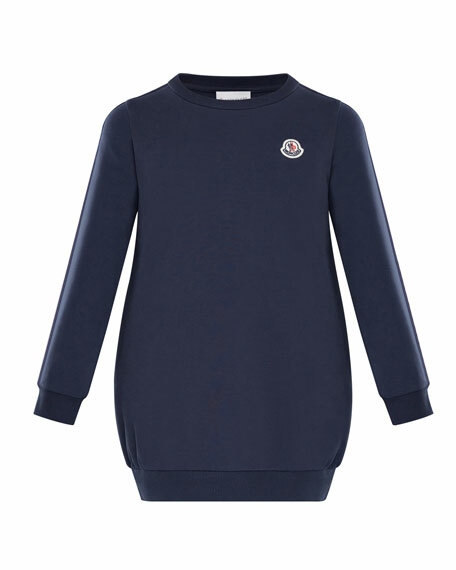 Fendi sweater dress in cashmere knit, featuring contrast panels with embroidery. Mock neckline; hooked keyhole back. Long sleeves. Column silhouette. Vented sides. Midi length. Cashmere/nylon/polyester. Made in Italy. 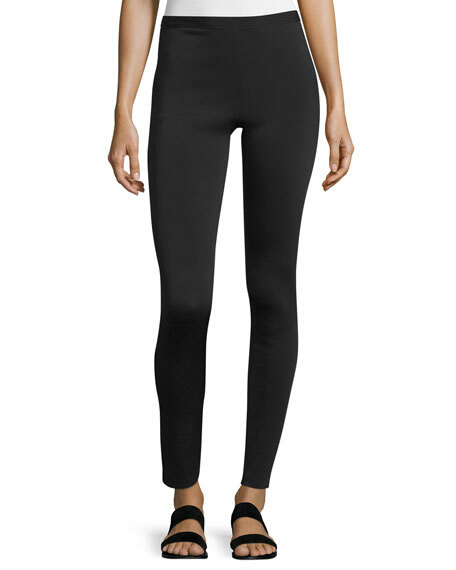 Helmut Lang stretch leggings in neoprene. Formfitting silhouette through tapered legs. Hem cropped at ankle. Banded waist. Nylon/spandex. Imported of Italian material. Model's measurements: Height 5'10"/177cm, bust 33"/84cm, waist 25.6"/65.2cm, hips 35.8"/91cm, dress size US 2-4/FR 34-36.